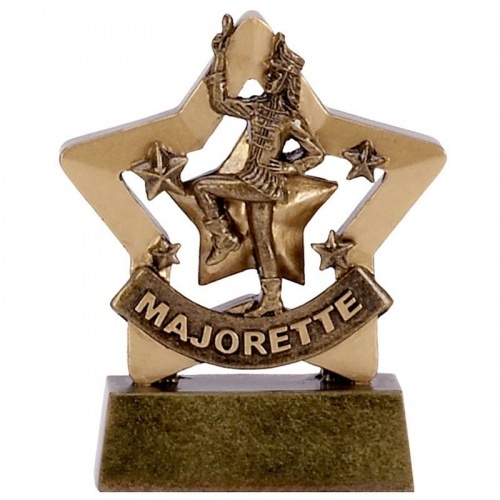 Affordable majorette trophy made in resin with gold and bronze colour finish. Standing 3.25in tall, these awards feature a five-point star background and a detailed figure of a majorette dancer, with gold stars. They can be engraved via a metal plate attached to the front of the base.